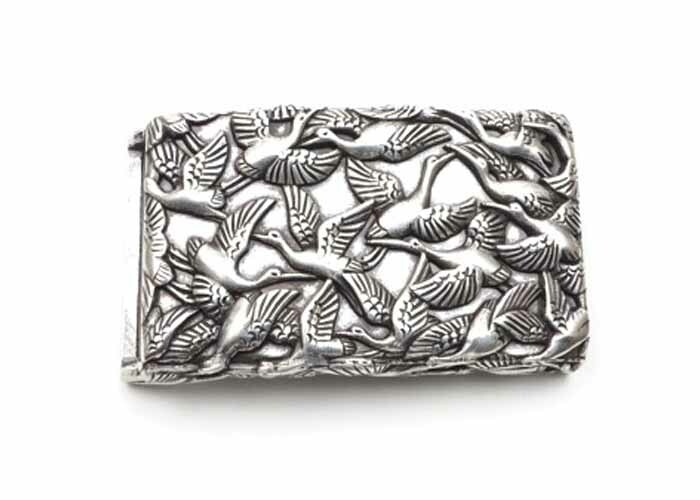 Silver-plated belt buckle featuring a flock of birds. The appearance as a flock of flying cranes is accentuated 3 dimensionally, and the slight blackening of the indents emphasises this effect. A real eye-catcher. Suitable for 4 cm wide belts.